Distressed at the knee with the perfect ankle grazing length, the Ava Crop Skinny in Abbey is the perfect everyday basic. 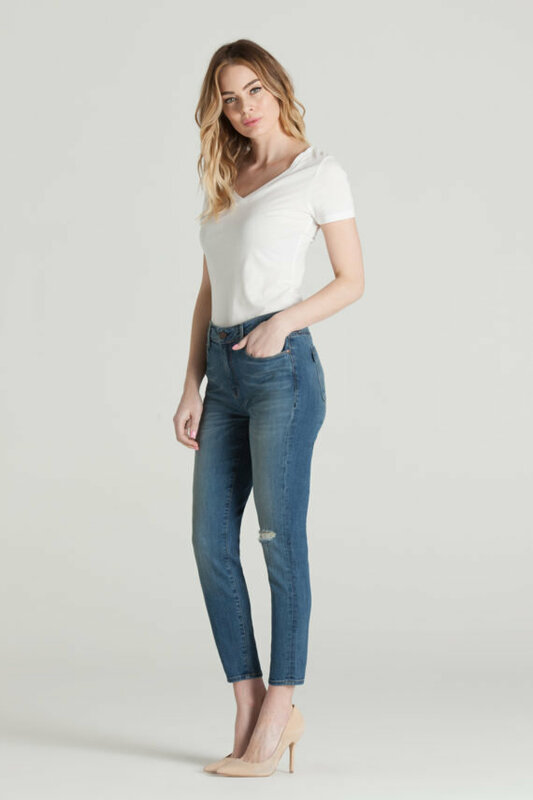 Made from soft stretch denim, our classic silhouette has a 9 ¼” rise and streamlined fit. Pair with a basic tee and sneakers for a relaxed off duty look.